The 4-person brick cottage ‘Góral’ is similar to the wooden cottage, only this house is made of stone and is not directly on the water. Here you have access to a terrace on the south side with sufficient shade from a large tree. You have a view over the Giant Mountains. The car can also be parked on site. There is no bathroom but a simple cooking facility with accessories in the house. From the cottage you look out over the lake. 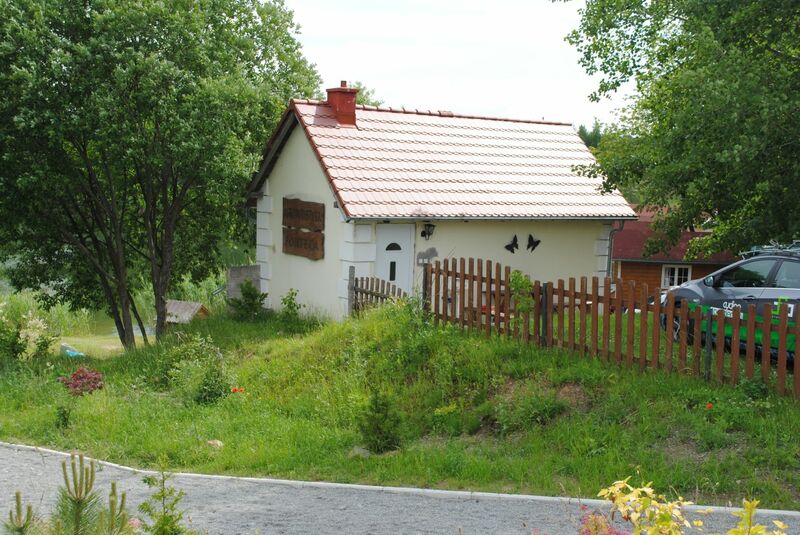 Low season we also rent for double occupancy at a rate of 100,00 zloty per night. The rate included final cleaning and the costs for gas and electricity. The house is rented on a weekly basis from saturday to saturday. The rate included all costs. For the guarantee of your reservation we ask for a down payment of 50% of the total costs, which you can deposit on our Dutch account in euros. You will receive a confirmation of your reservation and deposit after payment. In case of unexpected cancellation of your stay you will lose your down payment. The remainder of the accommodation costs can be paid at the end of your stay in Polish zlotys or euro.